Landscape Perceptions was the childhood dream of Lucas Durham. He founded the company in 1994 when he was fourteen, as a lawn maintenance business. 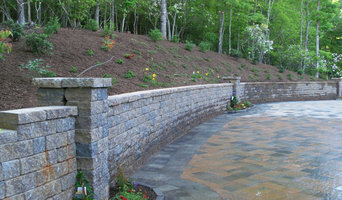 Since that time the company has evolved into the area’s premier custom landscape and hardscape construction company. The mission of Landscape Perceptions has always been, creating finely detailed gardens and building long-lasting relationships with our clients. Our continual commitment to superior quality and customer service has been the key to our success. We specialize in attention to detail for complex construction projects. We pride ourselves in providing the same customer service for smaller projects as well as larger ones. Our full-service estate gardening and maintenance division, is customized to each property’s specific requirements. This service includes providing detailed schedules, qualified supervision and follow-up. Our garden accessories division provides our clients with any outdoor accessory from patio furniture, to gas grills, to custom mailboxes and posts, to lamps and lamp posts or to the perfect planter or urn. In 2011, Landscape Perceptions had the fortunate opportunity to acquire Twilite Landscape Lighting. Twilite is the area’s premier outdoor landscape lighting company. Constructing finely detailed gardens and creating beautiful outdoor spaces is our focus. When the time is right for you to consider planning, designing and implementing your new garden or outdoor space, we hope that you will consider our company and join many others in a building long-lasting relationship with us. Thank you for visiting our website and we welcome you to the Landscape Perceptions experience. At Four Seasons Landscape we believe that your outdoor spaces should be as luxuriously designed as your indoor spaces. Our seasonal murals grace some of the most beautiful homes and businesses in the Southern Appalachians. A full service landscape company, we envision, design, construct and maintain your outdoor spaces to fit your lifestyle. Outdoor luxury with no boundaries defines our beautiful landscapes, hardscapes, waterscapes and gardens. If you are searching for four seasons of color and beauty contact us to see how you can enhance your lifestyle. It's about luxury, it's about no boundaries, it's about Four Seasons of living art! 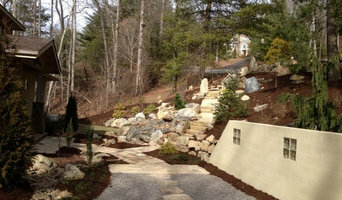 Landscape and hardscape design and installation. Water features. We design with low maintenance in mind! B. H. Graning Landscapes, Inc. strives to create beautiful and functional landscapes that meet the needs of the client while providing exemplary customer service. We consider all aspects of a project including budget, environment, site, function and the client's needs and style to achieve our goals. 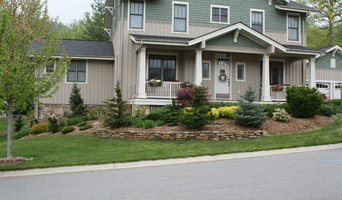 ZR Landscaping & Grading specializes in residential landscape projects and grade work. 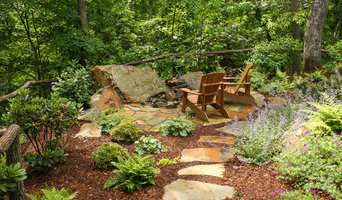 We are committed to making the clients vision come alive with each project from simple landscape designs to excavation. We work primarily in Buncombe and Henderson county and Weaverville areas and provide free on-site estimates.